The United States of America, the world’s wealthiest country has worse health indices when compared to other developed countries of the world despite making more health expenditure than any other. Opinions vary on the best approach and strategies to be adopted by the governments of the United States to improve the quality of lives of the American people. 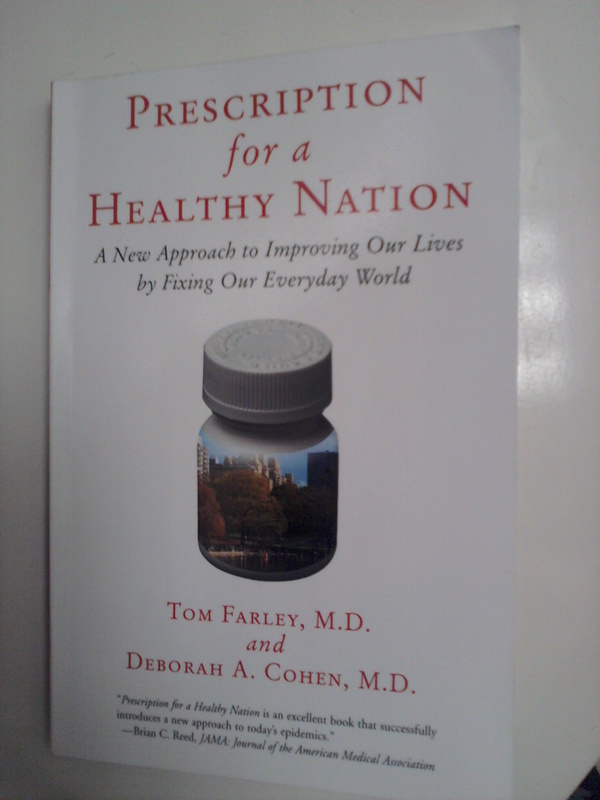 Two medical doctors and Public Health researchers, Tom Farley – the chair of the Community Health Sciences Department at the Tulane University School of Public Health and Tropical Medicine, New Orleans and Deborah A. Cohen – a senior scientist at the RAND Corporation, in this book made a critical analysis of the current approach which they considered ineffective and suggested a better alternative with insightful and compelling arguments. The authors did a good job in the use of simple language and real life stories to illustrate their points. The copious use of statistical data from scientific research and government records made the book very interesting and drove home the points. The references took 30 pages indicating the amount of research conducted thus bestowing even more credibility to the assertions and conclusions reached by the authors. The fact that both authors are medical doctors will also most probably defeat any argument of professional bias. The incorporation of the history of medicine and public health, the current situation of health and what must be done to achieve better health made the book an interesting read. Regrettably, the authors in the first chapter hit medical care so hard. Irrespective of their opinions, most Americans, like other people of the world place much values, respect and confidence in medical care. Making such scathing analysis in the first chapter of the book is capable of discouraging the reader from continuing up to page 15 where some positive contributions of medical care were acknowledged. The advice to Americans to “stop blindly paying for Medicare” could as well offend the sensibility of the people when there is no alternative to health care for ill people. Whereas the authors quoted lots of research studies to back up their points, the neutrality of some of the researchers and validity of their findings cannot be independently verified and could still be called to question. Meanwhile, presentation of hypertension as a disease mainly acquired from high consumption of salt, chips and junk foods is not convincing; it is known that a significant percentage of cases of hypertension has unknown etiology. In my opinion, the book should have started with the history, that is, the content of Chapter 2 coming first. While I agree totally with the authors’ submissions that creating a healthy environment using the “curve shifters” is a better way to achieve healthy behaviors which will ultimately lead to better health and less disease burden and mortality in United States, I do not believe that less attention should be paid to medical care since both are not mutually exclusive. Generally, the book makes an interesting read. Although the illustrations were done using research and statistics from United States, I believe that effective adaptation and application of the principles using the “curve shifters” can produce successful outcomes in any other country of the world. I therefore recommend the book to all students and practitioners of public health, policy makers, politicians and all citizens of the world that desire a better environment and healthier world. When this is done, the dreams of the authors may become a reality.